It need not be repeated, as it is a well-known fact, that we are facing challenges to our global eco-system which include climate, food production and the ever increasing levels of toxicity of all kinds in the air, water and soil resources of our planet. If we are to avert the inevitable results that these challenges will bring we must adopt alternatives to those human activities and practices that daily contributed to them. Agriculture, as it is practiced today, is without question according to all the authorities the single major contributing factor to pollution of all kinds. Fertilizers, pesticides and many other contaminants are seeping into our ground water on a grand scale. Large mechanized cattle farming operations contribute to massive methane emissions throughout the world and are now known to be the single largest producer of greenhouse gasses of all the known sources. Pesticides not only produce a terrible result within out ground water but they are also in the very food we produce and consume further eroding the health of our citizenry and as a result, our thinking is negatively impacted which seems to be another contaminant effect we all must live with if things do not change soon. Given that agriculture the way it is practiced today is responsible for so much of these challenges it would make sense that changing the way we perform our agricultural practices would also offer the greatest opportunity to make a major impact on our lives were they to be of the kind and nature I would like to share with you now. 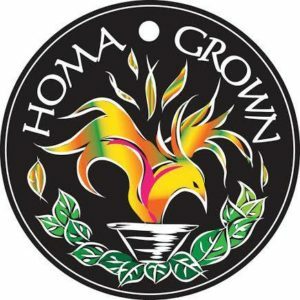 Homa Organic Farming is an ancient farming method that has been shown over the course of the last 44 years since being resuscitated in 1973 to accomplish several vitally important objectives. First, it results in vastly more food production (2-3 times normal yields) requiring less area, while also requiring less water and no chemical pesticides. The fertilizers these methods employ are far more effective while also costing nothing for the small farmer to produce yielding an immediate economic benefit to the small organic farmer on a limited budget. 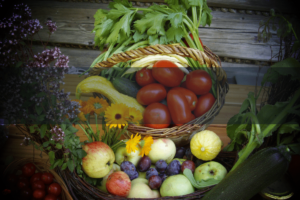 These farming methods have also been proven to revitalize the water, air and soil in the vicinity in which they are performed eliminating and mitigating toxicity over time and initiate the beginning of the restoration and rejuvenation of these important life-giving natural resources. These benefits are not limited to just the land being farmed but extend further into the surrounding community to effect a beneficial change on the environment in many ways as already mentioned. 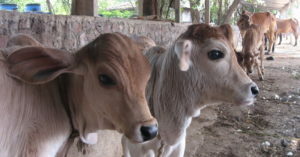 Additionally, these methods have a profound and lasting effect on the mind of man and animal alike extending their benefits to the realm of mind and in so doing building support for better judgment and decision making thereby enabling these practices to be recognized as the life-enhancing methods and protocols that they truly are. These are documented and proven results that have been measured scientifically for more than 44 years all over the world from South America to the US, Asia, and Europe. We, therefore, will be incorporating these Vedic Technologies at The Oasis Eco Resort now being developed in Indonesia. What is (CSR) Corporate Social Responsibility?